When I first started competing in triathlons in 1995, I signed up for whatever races were convenient without considering how each race fit with my goals, the time of year or the relationship with other events. It wasn’t until I began working with a coach then later coaching others and myself that I recognized the need to strategically choose races and plan triathlon seasons in advance. Once I did this, I began to find my clients and myself consistently on the podium. The process I use is simple. The key to creating a successful plan is to begin at the end and work backwards. Write down your goals on paper and look at them. Are they realistic given your other commitments like career, family and social activities? If not, consider revising your goals so that they are still challenging but also achievable. Post your goals where they are visible everyday, such as on your bathroom mirror or your desk, for the constant reminder of why you’re training. With so many races to pick from, which ones should you sign up for? Will you need to do the majority of your training in the winter or in the summer? For example, if you sign up for a May triathlon, you’ll be doing long rides in March and April, which may not be bad if you live in Florida but may be a challenge if you live in New York. Are you comfortable with pool swims, fresh water swims or ocean swims? Wave starts or mass starts? Do you want to race on a crowded course or more by yourself? Does the course fit your strengths? For example, if you live in a flat area and are not a strong climber, then a flat course like IRONMAN Florida may be preferable to the hills at IRONMAN Lake Placid. What else is near the race site? Are there other activities for friends and family to do while you’re doing your race stuff? Do you have friends who are training for the same race or another race around the same period of time? It can be lonely doing all of your long rides and runs alone. What is the weather typically like where you will train versus where you will race? What about the altitude? How much does the race cost? How far are you willing or able to travel? The more time zones you travel, the more time you should allow for adjustment. Start with the Annual Training Plan, where each week is represented by a row so that can you see your year from the start of training until your last race on a single page. In addition to races, include key events like vacations, work travel and social events like weddings. A weekly view will also help you visually see the weekly interval between events. Add shorter triathlons leading up to key races. Shorter races are an opportunity to practice execution, pacing and nutrition, as well as evaluate your fitness at that point in time. A good rule of thumb is to do no more than one race per month. Otherwise, you’re spending time too much time racing instead of training. For example, if I plan to compete in IRONMAN Vineman at the end of July, I would look for an IRONMAN 70.3 in early to mid June, an Olympic in mid May and a Sprint in April. Be sure build in recovery weeks around non-race events. If you’re not able to train as much then use those weeks as easier weeks. When structuring your training periods, consider the principle of specificity, which basically states that training responses and adaptations are a function of the mode, frequency and duration of exercise. In other words, your training should become similar to what you’ll experience on race day in order to prepare body for the demands of the race. I like to use the analogy of a funnel to illustrate the principle of specificity over a triathlon season. When you start at the beginning of your triathlon season, the top of the funnel is wide so there is so more latitude in your workouts. As you approach key races, the funnel becomes narrower so training becomes more “like” the distances and intensities at which you’ll be racing. The amount of training time leading up to race day will depend on a number of factors including your starting fitness, the length of your races and your level of competitiveness. 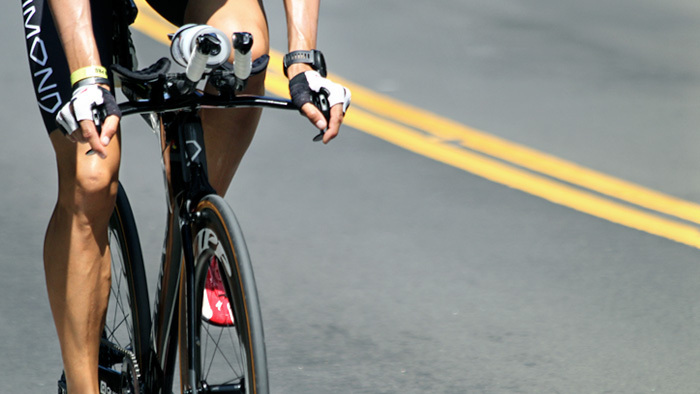 If you’re new to triathlon or trying to progress to the next level, find a coach or a training plan to help you structure the training periods of your season. When creating a weekly schedule, place your workouts where they make the most sense. For example, if you hate to swim alone, schedule your swim workouts on days when masters swim classes are available or your training partner can meet you for workout. Keeping the workouts on specific days also helps with consistency, a critical success factor. Finally, plug your workouts into an online tool like TrainingPeaks that will allow you to evaluate your workouts and track your progress. By setting goals, choosing your races strategically and structuring your training thoughtfully, you’ve taken important first steps to more success.